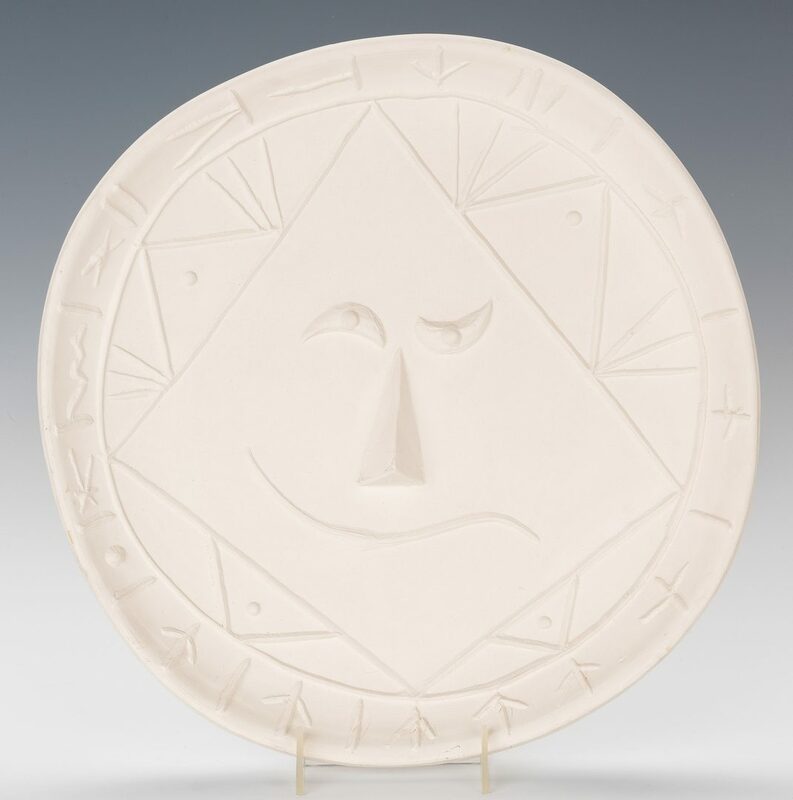 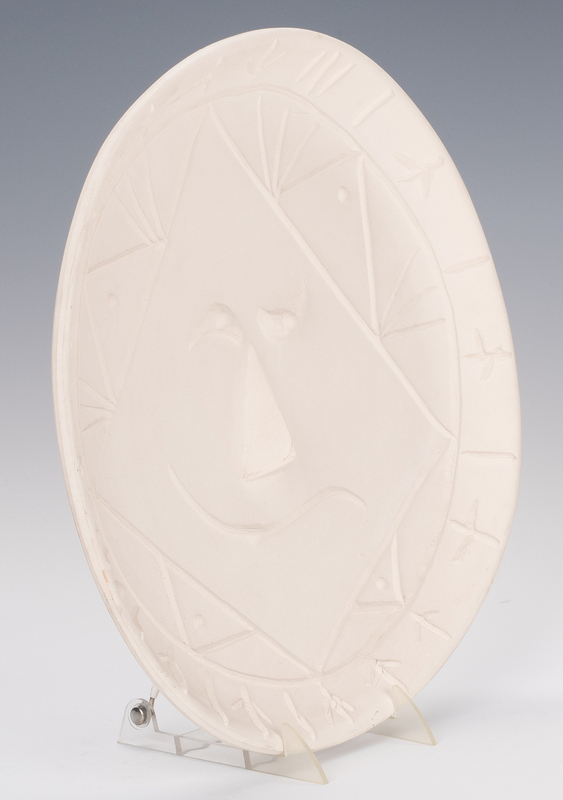 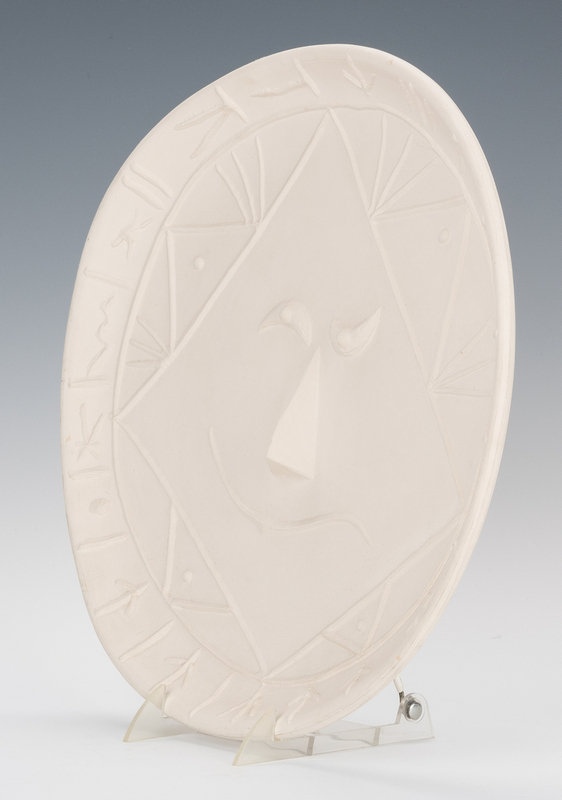 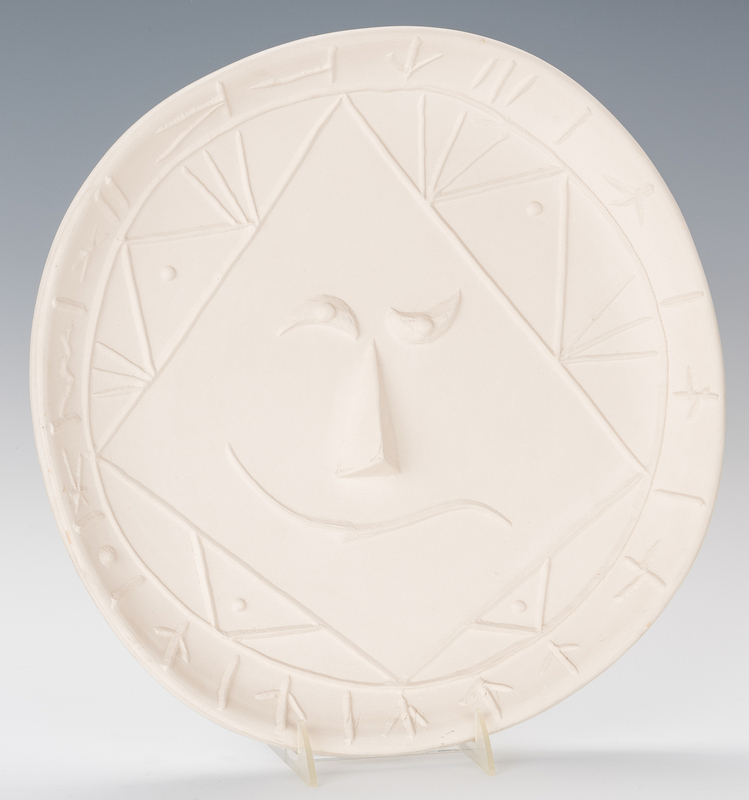 Pablo Picasso (Spanish, 1881-1973) unglazed ceramic plate titled "Visage" by Madoura Pottery. Stamped en verso "Madoura Plein Feu/Empreinte originale de Picasso". 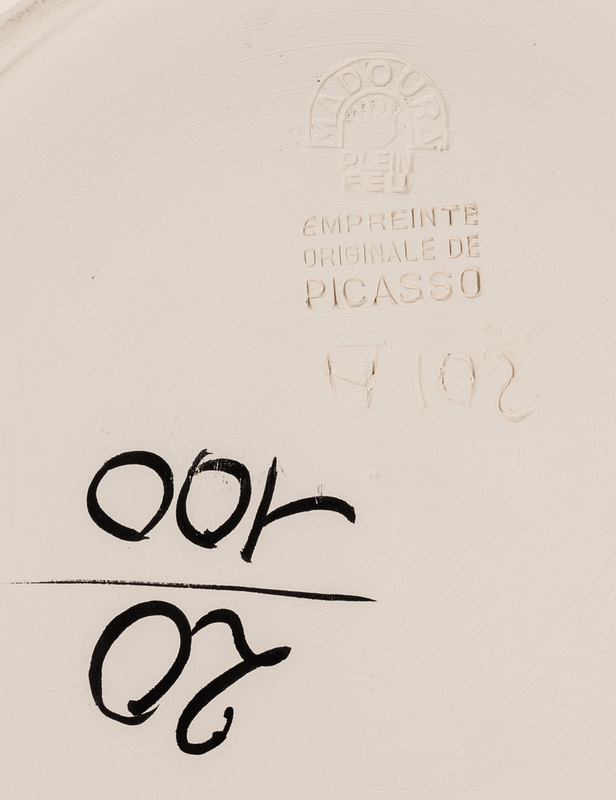 Inscribed en verso "A102" and numbered in black marker 20/100. 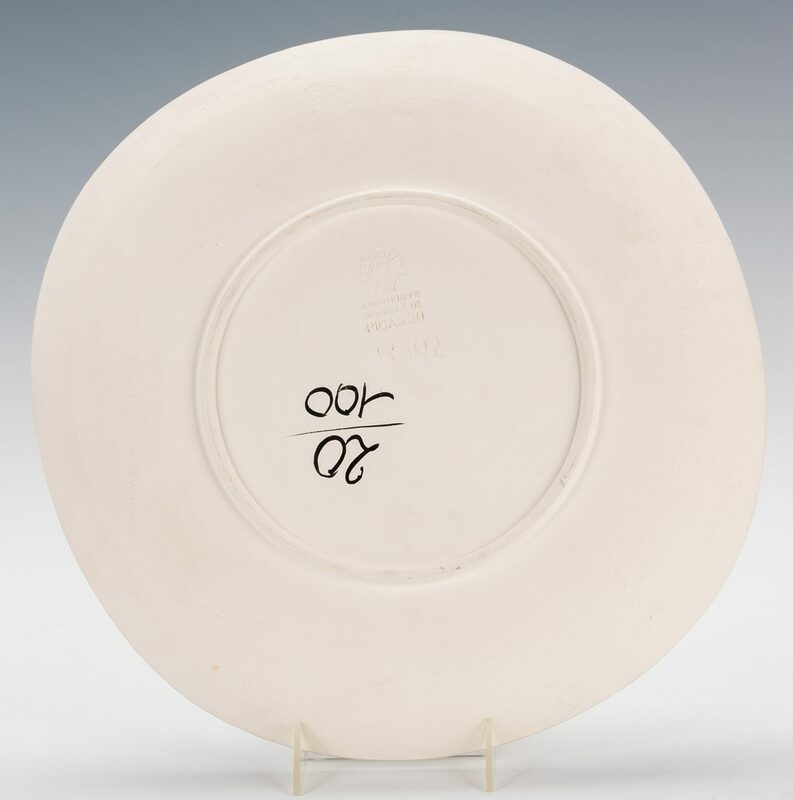 14 1/2" dia. 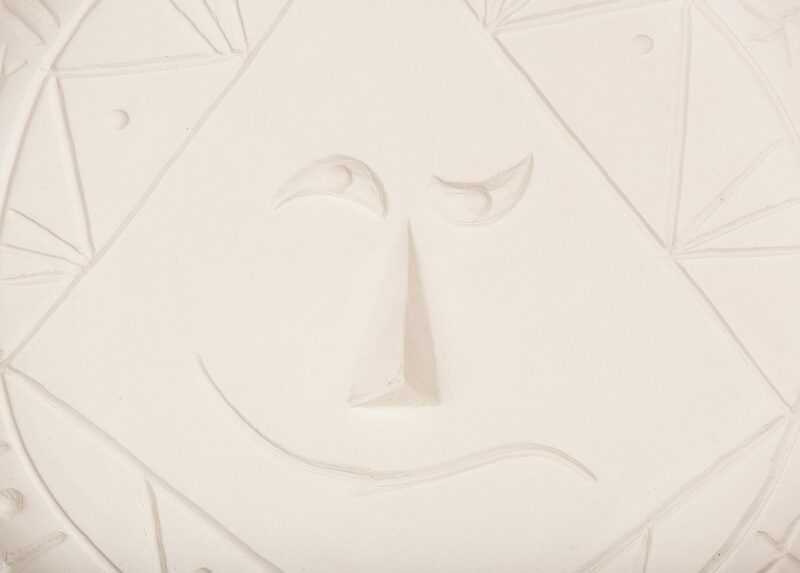 Circa 1965. 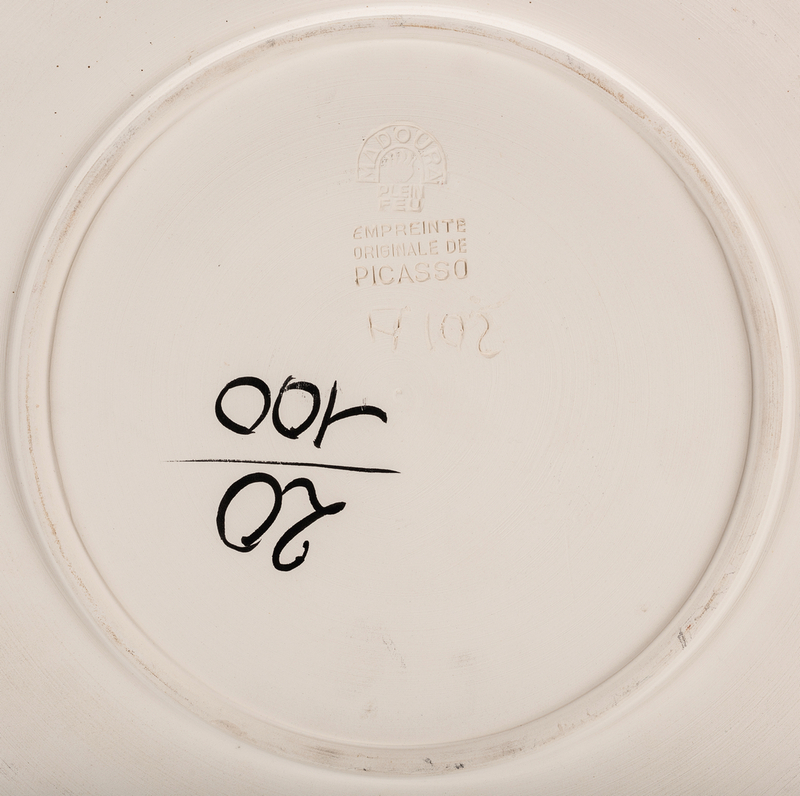 Provenance: Property of a private Knoxville, TN collection. 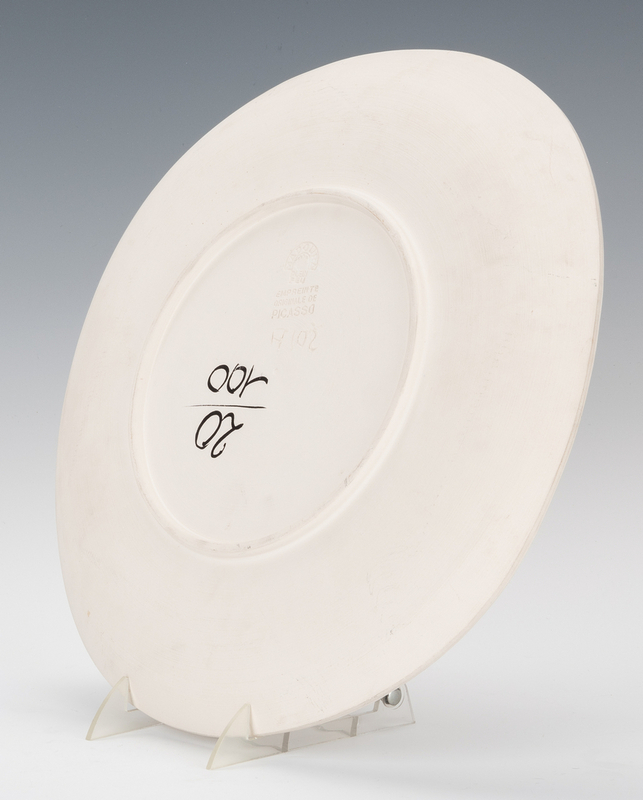 CONDITION: Overall very good condition with minor area of yellowing bottom left rim edge. 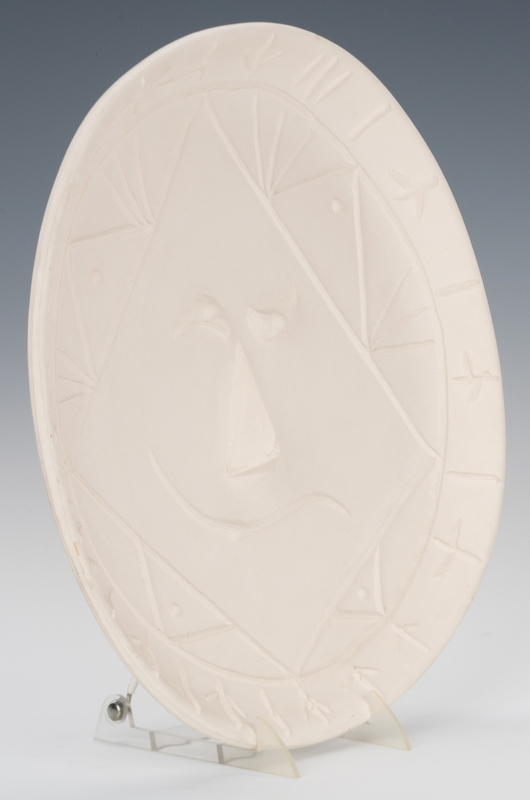 Possible minor errant pencil marks lower rim below nose. 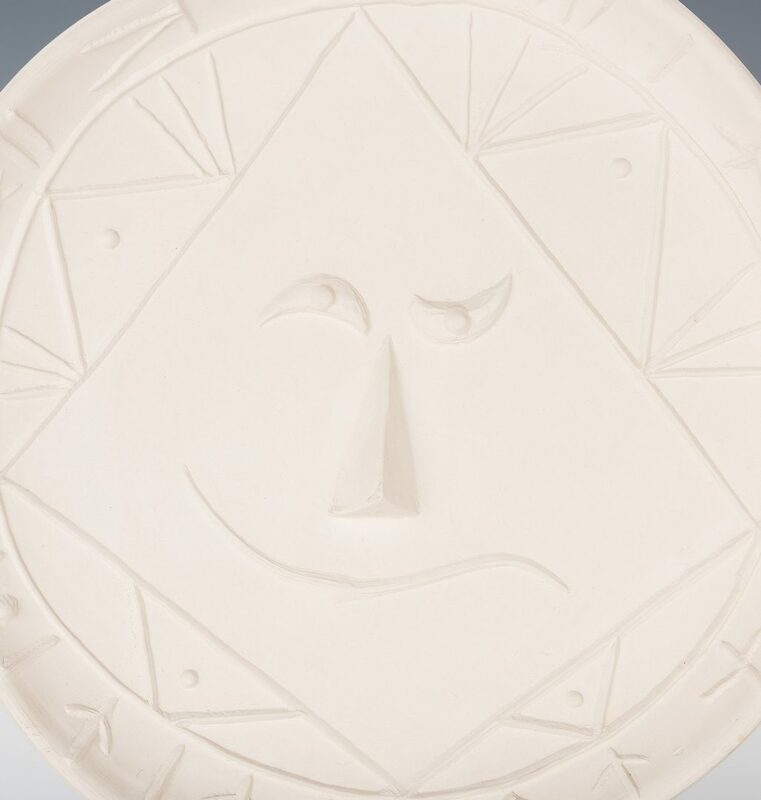 No cracks or chips.